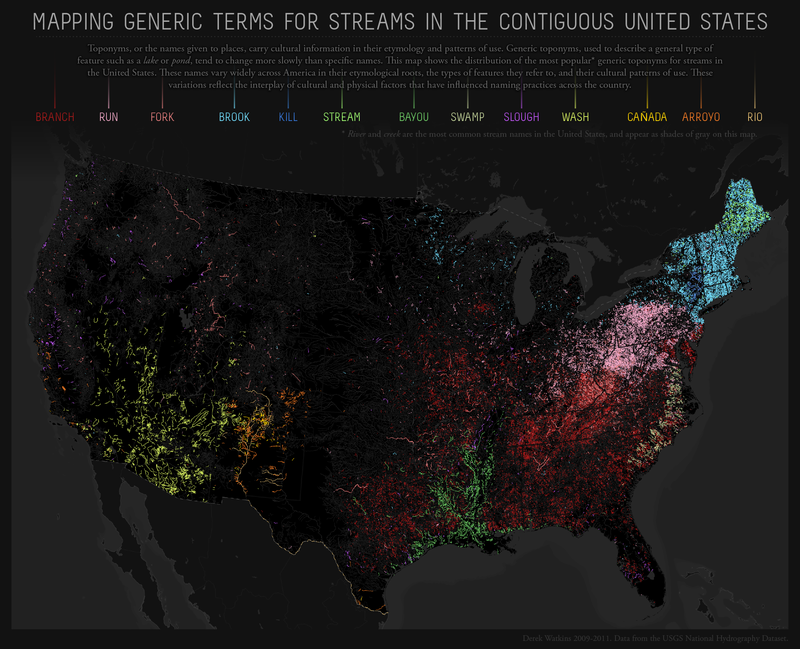 I thought this gorgeous map of the variation of generic names of streams across the US was worth sharing. Original post by the map's creator is here. We're brook heavy up in here.